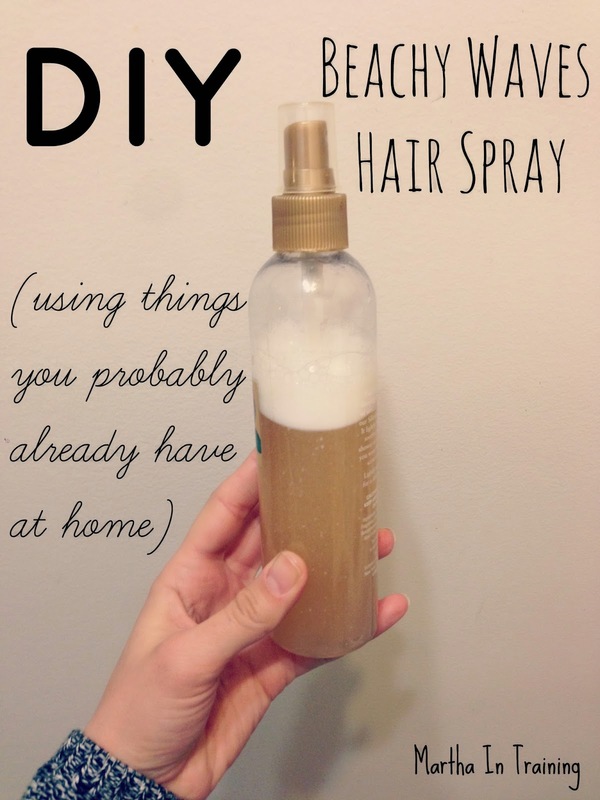 During one of my recent Pinterest binges I came across a DIY hair spray for beachy waves. This is something I covet on the regular. I have hit-or-miss success with curling my hair (curling iron, straightener and my sister's 'magic wand' as I call it) so I was eager to try this out and see if it worked. Especially since I had thrown out my store bought bottle of a similar product when the spray part stopped working. Anyway, this spray is incredibly easy to make and it works fairy well without giving your hair that hard crunchy texture . And it may likely cost you nothing as there's a fair chance you've already got the majority of the ingredients required. Mix it all up as best as you can and transfer it into a 10 oz spray bottle. I dumped out an old Victoria's Secret body spray that I hadn't used in years and used that. Shake it (vigorously) to really mix in the Epsom salts. Spray into damp hair and then start scrunching your hair. I did a combination of scrunching, twirling sections, and wrapping my hair into a loose bun. It gave me decent beach waves for the evening and I was satisfied enough to use this spray again & probably to make another mix once this one runs out.